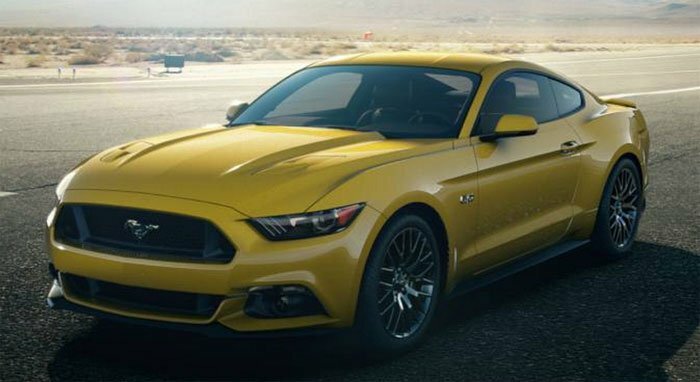 Ford announced the all-new 2015 Mustang this month. The new 2015 Mustang is massively changed from previous versions and is a true world car. The new Mustang gets independent rear suspension among other things and EcoBoost power. Ford has relied heavily on its EcoBoost 4-cylinder engines to improve fuel efficiency while delivering the performance expected in its vehicles. While we know the 2.3L EcoBoost is coming to the Mustang, in the future the pony car may other green technology. Ford has admitted that it is currently looking at everything to increase the fuel efficiency of future Mustangs. The fuel saving tech being considered include diesel power, hyrbid, and even electric versions of the Mustang. Ford is also currently working with GM to develop new transmissions. Ford and GM are working on transmissions that feature nine and ten and ten forward speeds. These transmissions are expected to help improve fuel efficiency. Fuel efficiency is very important to Ford and for any car that wants to be sold in volume on a global stage. Fuel is much more expensive in Europe than it is in the US making efficiency very important for shoppers in Europe.